Some people are able to sleep through a tornado and not be affected in any way, but there are some of us who find it difficult to sleep in a noisy environment. So, what should one do when the neighbors make too much noise, or the traffic noise keeps you up all night? In such a scenario trying out a white noise machine would be in your best interest. People have been amazed at how well-rested they become, or how much their sleep has improved, or even how well they can study through the night. 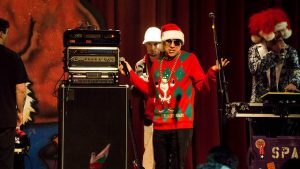 A sound machine can do wonders. Which Type of Sound Machine is best for you? When Would You Need a White Noise Machine? What is White Noise, Technically Speaking? The Homedics SS-2000 Sound Spa Relaxation Sound Machine is a very nice looking white noise generator, with a clever circular, silver design that easily sits next to your bed. This is an entry level sound machine you can get your hands on and try out without risking too much. The 6 sounds offered will keep you busy but personally, I prefer more options than just this. Would it really cost so much more to have a dozen sounds total? The problem with this unit is that it’s not very solidly built. For such a cheap price, I can’t say I’m too shocked! Some people have reported problems with their Homedics SS-2000 sound machine breaking within a few months of purchase. 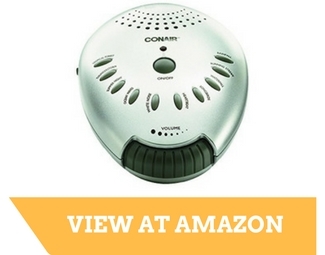 The Conair White Noise Machine is not the most solid white noise generator, and it’s priced affordably compared to many other white noise devices out there on the market. It does the job though. It’s gotten to the point now where I use it every single night to obscure my mind into la-la land and go to sleep quicker. So is it safe to say I like my Conair White Noise Machine? BUT, it is not without its faults. There are a few things I wish they’d improve on. For instance, the sound function or volume control on the device is huge and easy to move, but that’s the problem – it’s so entirely easy to move, that many times I suddenly crank up the volume when I’m simply trying to turn it up just a little or even reaching over to turn it down. The other complaint is that while I adore the sound settings for Ocean Waves, Summer Night, Running Stream, and Rainfall, I must admit that some of the other sounds can occasionally sound “tinny”. Maybe cheap is a more descriptive word. What this amounts to is that while there are 10 sounds on here, you’ll probably only use half of them because a few just don’t sound all that great. But for the price – the unit delivers quite well and does offer about some really great white noise sounds to help you sleep. Be careful though! If you’re anything like me – a person with a lot of sleep problems, eish! – you could get a Conair white noise machine and quickly get hooked on it when you realize how helpful it is in guiding you to sleep. Edit: The Conair sound machine I’m talking about in this review is sold under the model of SU1. This is the same one sold at Amazon, Kohls, Walmart, and all the over place pretty much as an “entry level” white noise machine. The Homedics SS-33000 SoundSpa is one of those “baby white noise machine” devices that parents can use to help their baby fall asleep. Unlike the SS-2000 (reviewed above), the Homedics SS-3000 doesn’t suffer from being a cheap unit that sometimes break. It’s actually quite solid, and I suppose the increase in the price reflects this! What’s really interesting about this Homedics white noise machine is that while it only offers 3 sounds, it’s got some really neat features for helping babies fall asleep. I’m talking about the lullaby music it can make and the image generator. The image projector shoots out pictures from the top of the unit. This is a pretty awesome feature and might make you want to use this for yourself and not just for the baby 🙂 ! By the way, if you’ve used these products above from Homedics, please kindly add a comment with your experience. Was the unit good? Should others buy it? Did it help you or your baby sleep better? It’s this type of real world input we’re looking for so don’t be shy – let us know your experiences with Homedics sound machines. Adaptive Sound Technologies Sleep Therapy system is one of the illustrious products in this industry. It has many functional features that makes it a unique and important machine. 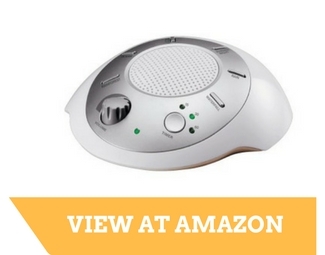 This White noise machine comes with a variety of sounds and effects designed to protect you from different kind of noises such as wind, echoes, a snoring partner, rainfall and many others. This gives you a logical reason to why you should consider buying it. Another benefit of this product is that it has an immaculate function of sound mixing and sound length, which allows it to perfectly mix and produce non-repetitive sounds. Repetition in sounds invoke a negative response among users, and they are demotivated from using such a white noise machine. It has noise cancellation function which is pivotal for sleep inducing process. This intelligent feature takes into account various noises in the surrounding and cancels those noises by producing higher frequency soothing sounds. 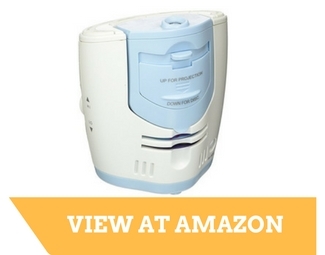 The LectroFan White Noise Machine is among the top selling and one of the best white noise machines. It is easy to operate and it’s compact in size which makes its usage in delicate areas such as baby nursery, where it can be used to reduce notices and help to generate sleep in a better way. The Lectrofan White Noise Machine produces simple noises which are either in the category of fan noises that create soothing noises or white sounds that are non-repetitive and relaxing. Another key feature of the Lectrofan Machine is that it has USB-enabled charging and power port, that allows it to intake power from almost any PC or Laptop. Several people prefer these sounds when they are trying to get to sleep. Moreover, there are various other colors of noise like white, red, brown, violet and gray. These colors of noise represent a spectral density of the noise in various applications. If you like white noise or fan sounds, you’ll most likely want original sound machine, it feature is dynamically generated using an algorithm that creates a truly random sound, or a real fan inside an adjustable acoustic housing. You can alter the tone and the volume of the sound to suit your personal preference in the best manner. You can try the Marpac DOHM-DS or the LectroFan Original. If you are more inclined towards rainforest sounds or other nature like sounds, then the digital models of sound machines are for you, including but not limited to waterfall, fireplace, city, ocean, meadow, train, rainfall, brook and meditation. If you are someone who travels extensively or lives in a situation that is very loud, then you should get a sound machine that produces more of a static-ish sound. For such a sound machine, you can choose from constant white noise or a wave modulated wave pattern. Also, you should keep in mind that the sound machine you choose has plug adapter for international travels. You can try the Marpac TSCI-330. In the end, whichever sound machine or white noise machine you opt for, placement is the key factor. Many people might just place their sound machines on the nightstand, but it is more likely that the sound machine would be more effective somewhere else in the room. A sound machine works best when the sound machine is placed between you and the source of noise. This indicates that instead of putting the sound machine on the nightstand or the bedside table, it is best to place the sound machine under the window to avoid the traffic sounds, near the door to prevent the voices from another room to enter. However, these are just some common examples. To ensure the complete effectiveness of the sound machine you might want to adjust the volume of the sound machines in different locations in different situations. Playing a little with the sound machine, and fine tuning it, you will end up with an ideal sound masking environment for your personal space. White noise is used for many different functions ranging from eliminating office noise, settling infants to sleep, enhancing meditative states, among other things. However, the best white noise machines are mostly used as a sleeping aid. When used as a sleeping aid, white noise machines can serve a variety of functions such block the snoring of a partner or other individual in the same household. This can be a major problem for people who sleep next to a snorer or indeed have mutual issues in that area. With so many distractions in the world and the technological overstimulation, getting a good night’s sleep and improving our personal well-being has become a necessity. For this very purpose, white noise has been becoming very popular in helping the mind and body to relax at the night. When looked closely, white noise has a great effect on the sleeping habits of an individual. Helps an individual in building a bedtime ritual – establishing a routine before bed, for children as well as adults, is a good idea and helps in making sleep hygiene a habit. Keeps the bedroom quiet – white noise ensures that the disturbing sounds are buffered, and the quiet cocoon is created. An optimal sleep environment is required for an optimal sleep time. Helps shut down your busy brain – white noise helps in preventing one’s brain from overthinking, and some people also use white noise for meditation. Helps you stay asleep – As white noise masks the sounds that may interrupt your peaceful sleep, and even if a situation arises where you do wake up, white noise helps you get back to sleep without any hassles. Helps you sleep soundly – the little interruptions in your sleep throughout the night can surely affect the quality of the sleep, but with the white noise, you will most definitely wake up feeling refreshed. Can go anywhere – you can’t change the environment wherever you go, but if you have a sleep machine, you can manage the sound factor of such environments. Perceiving white noise is dependent on the recreation, even to detect the slightest change in the variations. According to a study, our brains can detect less than half a change in db. This sensitivity is often dependent on the difference between a soft white noise that is comforting and helps in keeping one engaged in an activity and a mentally distracting noise that doesn’t help in focusing at all. The difference here is between a pin dropping in the room or a dropping a pin in an adjacent room. These subtle changes break or make the concentration. A recent study pursued the effects of white noise ranges and their effect on the production and focus of an individual. According to the study, it was deduced that people who have a high capacity of concentration can be more focused towards their task with a small window of white noise. Babies just love the white noise. As babies spend their initial life in a womb and womb is deafeningly loud; therefore, loud is a normal concept to babies. However, for the babies, life outside of a womb is quiet. Hence, white noise is like a home to the babies. White noise is the most effective, easiest and an inexpensive sleep aid for babies. White noise is one of the best things you can use to help you and your baby sleep better. How does white noise help the babies? Reduces the stress in babies – babies get stressed out about everything because the world is much more stimulating than what they are used to. White noise creates a space that is a haven to the babies by blocking out the other sound stimulations. Helps babies sleep – white noise helps babies in sleeping for a longer period and helps them in having more restorative naps. Moreover, white noise masks the noise of life that might disrupt the naps and night sleep of the babies. Helps babies in crying less – shushing are white noise that we make ourselves, and the key for using the white noise to help a crying baby calm down is to have that white noise louder than the noise of the baby’s crying. Using the best white noise machine to produce a sound that is louder than the baby’s cry helps the baby in calming down. 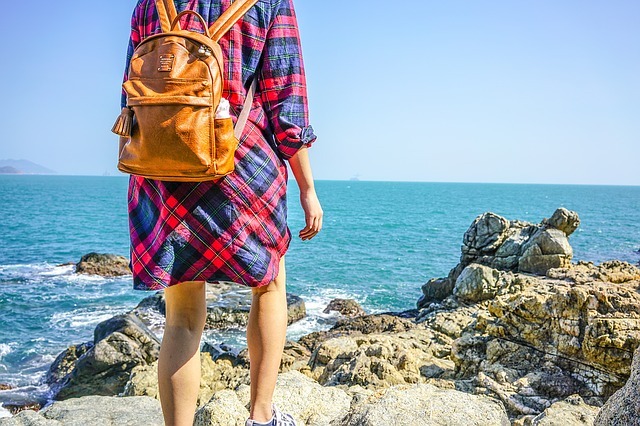 When traveling, sleeping in an unfamiliar place and the bed can take the time to get used to, and just when you are getting used to it, you have to pack up and move to another place once again, disrupting your sleep in the process. Some people are able to get a good night’s sleep in a day or two times, but there are some people who take a long time to get accustomed to the new surroundings. However, when such issues arise the sound of white noise can do wonders for you. Compact and portable white sound machines are available that can be carried anywhere. Hence, when traveling to get a comfortable and a distraction-free environment, a sound machine can do wonders for a night’s sleep. Whether you are staying in a hotel, or in a tent, or at a relatives place, all you need to do is place a sound machine and let it soothe you into a deep slumber, helping you get the much-needed sleep after so many hours of traveling. Though we love our homes, not all homes are an oasis of peace, especially when you live in an apartment or multifamily dwellings. The noise of all sorts coming from the neighbors, or your family clomping above you, or the noises coming through the walls can, turn out to be extremely distracting. One of the best ways to quiet things down in your home is to add noise to the home using the white noise machines. Sound machines are an effective way to drown the annoying voices and sounds and to add nonstructural noise to the general area to mask the unwanted sounds. Theoretically speaking, if you are living in a small house or apartment with a wife and children or even with over-enthusiastic roommates, you would wish for a long hallway or a distance of floor or two between you and the source of noise. But without the best white noise machines, you would have lost your collective attitude by now. The sound machine adds a layer of flat, neutral sound that dulls the disturbing sounds. You can use the sound machines to make a private phone call, or if you have a roommate in the next room, or to dull out the noise from the neighbors. Turning up the white noise generator creates a separation and ensures some of your sanity. In offices, open spaces are often quiet, and the sound of conversations can travel across the office. But when the content of the conversation is sensitive or confidential, you need to be extra careful to avoid the theft of information. Sound machines can help in masking these sounds and conversations so that others do not hear them. Moreover, an office environment that is too noisy or too quiet can cause a dramatic reduction in the productivity of the workers. However, a sound machine can help protect the privacy of the office as well as increase the productivity of the employees by creating an ideal environment. Tinnitus is a non-auditory sound produced internally. However, real and external noise can be used to counteract the perception and the reaction to tinnitus. Sound machines can help mask the sound of tinnitus. In sound masking, the patient of tinnitus is exposed to the external noise produced by white noise machines in a high enough volume that it can partially or completely cover the sounds of tinnitus that the patient hears. When the sounds generated by the sound machines mask the sounds of tinnitus, the patient can relax and can find temporary respite from the condition. No matter whom you are and what you are looking for, there are some features and factors that you will have to keep in mind when buying a white noise machine. Because these factors are going to ensure how well you can utilize the sound machine. Choose a sound machine that offers various sound options ranging from natural environments to different fan and white noise sounds. Hence, you can choose a sound that suits you best. Choose a sound system that offers a sound richness control to add layers of audio to ensure an enhanced and immersive sound profile. A sound machine with a sleep timer would be an amazing option. Using this feature in a sound machine, you will be able to set up your sound machine to power off after a certain period once you have drifted off. A sound machine with an adaptive sound technology is certainly an innovative technology that will help you in adjusting the noise based on the noise level of your environment. When speaking in simple terms, we can say that white noise is a special type of sound that is used for masking the background sounds. As a promoter of healthy sleep, white noise drowns the sounds that prevent a person from falling asleep or waking up while one is sleeping. In technical terms, white noise is described as a noise that has amplitude that is constant throughout the frequency range that is audible. The origin of the white noise theory is from mathematics and engineering. However, nowadays, white noise is being applied in the diverse fields of acoustic, computer programming, electronics, and economics as well. The real white noise can only be generated electronically, and the sound of the white noise is similar to that of TV or radio static. However, radio and TV static might not be useful as the sound they produce is not very pleasant to the ears since it has high-frequency energy. White noise machines have frequencies that depends on the source from where it is initiated, in a similar manner, a sound is used and brought into effect by various individuals for different purposes. For instance, music is created by artists and is used for several purposes, depending on its genre and very nature, such as high fidelity music stimulates body to dance, soothing instrumental music promotes meditation and peace of mind, vocal and country music instigates imagination and good mood, and so on. These noise machines have their own measurement and color coding technique, which enables specialized users to identify noise and sound according to respective needs and utilization. Now that you have the knowledge about how effective sound machines or white noise machine can be for you and your surroundings, we hope that you can select the best sound machine when you go shopping for one.